This article is part of the e-book - Trad Climbing Basics. A climbing helmet is the first thing you should buy when you start trad climbing. They protect your head from things falling on you (rocks, equipment, etc..) and also from your head hitting the rock if you fall. Learn more about climbing helmets. The leader places trad gear (protection) in cracks and fissures as they climb up. It is then removed by their partner when they follow, so all that is left on the rock are a few chalk prints. 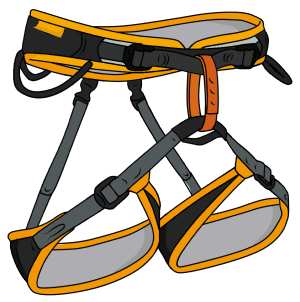 Cams, nuts and slings are used at most climbing areas. Hexes, tricams, ball nuts and big bros could be either essential or useless depending on the area. Each of these are described below. 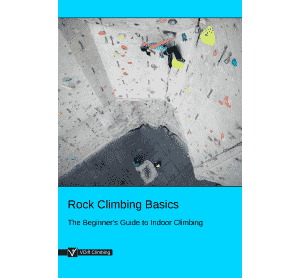 Check which types are most commonly used at your chosen climbing area before you commit to buying a full set. Tailor your rack to suit each climb. Carrying too much gear will make the climbing harder. Carrying too little will force you into dangerous runouts or constructing poor anchors. Consult the guide book to determine what sizes of gear may be needed for your chosen route. 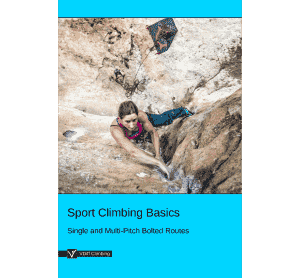 While single ropes are most suitable for indoor and sport climbing, they can also be the best choice for trad climbing. However, depending on where you climb, using half ropes could be safer. Not sure which rope is right for you? Learn all about climbing ropes. 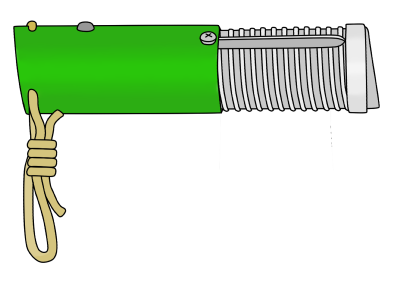 Most trad climbers carry extendable quickdraws in addition to regular draws. These can be used either as a short draw or fully extended, meaning it's quick and easy to extend your gear without carrying extra slings. You probably already know that climbing shoes make standing on small bits of rock a lot easier. Learn how to get the best fitting shoes here. 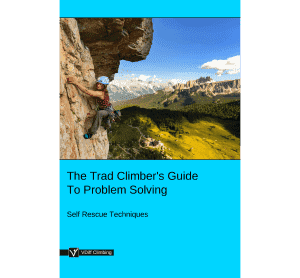 You can use any climbing harness to trad climb, but you'll benefit from having a comfortable harness with at least 5 gear loops. If you're reading this, you probably already know how to belay. If you don't, you can learn here. 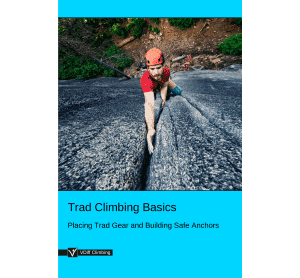 The best belay device for trad climbing is an ATC with a guide mode function. Getting one without guide mode limits your options for belaying and rescue situations. 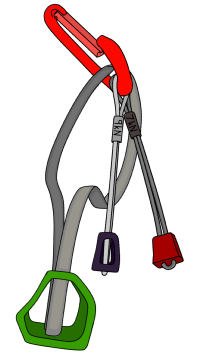 A common way to equalize gear at the belay is to use either a cordelette or a long (240cm) sling. 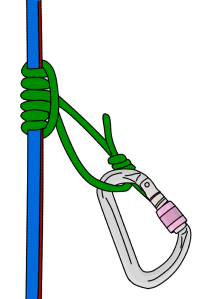 A prusik cord is used to make abseiling safer and more controlled. Keep it on the back of your harness with your belay gear as you climb. Available in sizes from the thickness of your little finger to the width of your head, cams are reliable and versatile pieces of trad protection. They're also quite expensive. You don't need to buy a full set to start with though, just choose the three or four sizes which you use most commonly at your local crag. When you advance to harder climbs, or climb at different places, you'll probably need to buy more. Learn how to use cams. 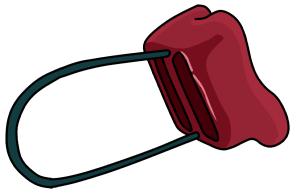 Ranging in size from the thickness of a matchstick to the size of your clenched fist, nuts (also called chocks, wires or stoppers) and hexes are inexpensive pieces of trad protection. A typical trad rack will contain 10-12 nuts and maybe one or two mid-size hexes. Learn how to use nuts and hexes. Slings are simply strongly-sewn loops of nylon or dyneema tape. They're available in a range of lengths - your typical trad rack will have a few 60cm and 120cm slings on it and maybe a 240cm, but bigger and smaller ones are also available. The length is given as the end to end distance, so the actual length of fabric will be double this. They are incredibly useful for extending gear and equalizing belays. When buying slings, try to get a different colour for each size. This makes it much quicker to grab the right size when you need it. Learn how to use slings. Tricams are designed to work the same as a nut, but can also be placed to 'cam' into cracks. They are most useful at crags which have many horizontal cracks for placing protection. 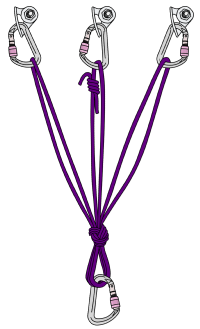 A typical trad rack will contain one or two mid-size tricams. Learn how to use tricams. Ball nuts are specialist pieces of gear which you are unlikely to need when starting out. They offer protection in thin cracks, filling the void where even the smallest cams are too big to fit. Learn how to use ball nuts. Big Bros are expandable tubes which protect wide cracks. They are lighter and more compact than large cams but are harder to place, cannot be shuffled up the crack and do not work as well in flares. They are only worth buying if you plan to climb a lot of off-width cracks and squeeze chimneys. Learn how to use big bros.
Nut tools are used to remove gear while following or cleaning dirt from gear placements when leading obscure routes. They are also useful for leading when you get the wrong sized nut stuck and need to remove it in order to get the right one in. 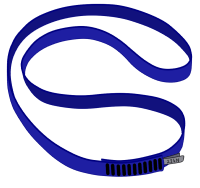 They are easily dropped, so it’s worth attaching a short loop of thin cord to it. 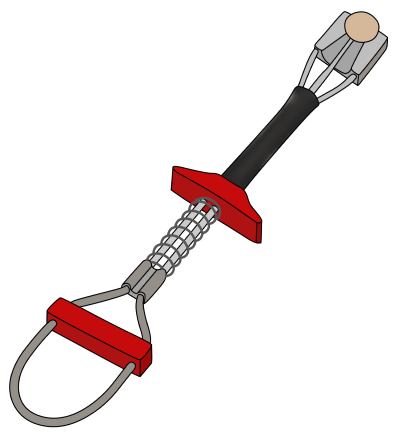 This can be clipped to the rope or gear while you use the tool.